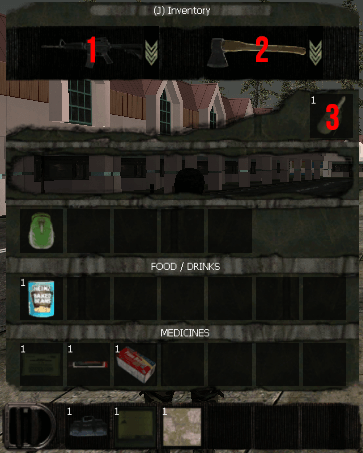 The Equipment Slots used in player's Inventory to contain special items (like weapons or throwable things). Basically when you equip your weapon (take in hand) it uses some slot in Inventory. For example: Assault Weapons uses primary (1) slot in Inventory, Handguns secondary (2) and Grenades special slot (3). Also you can take some items in hand and throw it (throwable things). Such items uses special slot (3). This page was last edited on 27 March 2019, at 20:22.